This is a set of two JConcepts Bar Codes V2 2.2 Rear Buggy Tires. 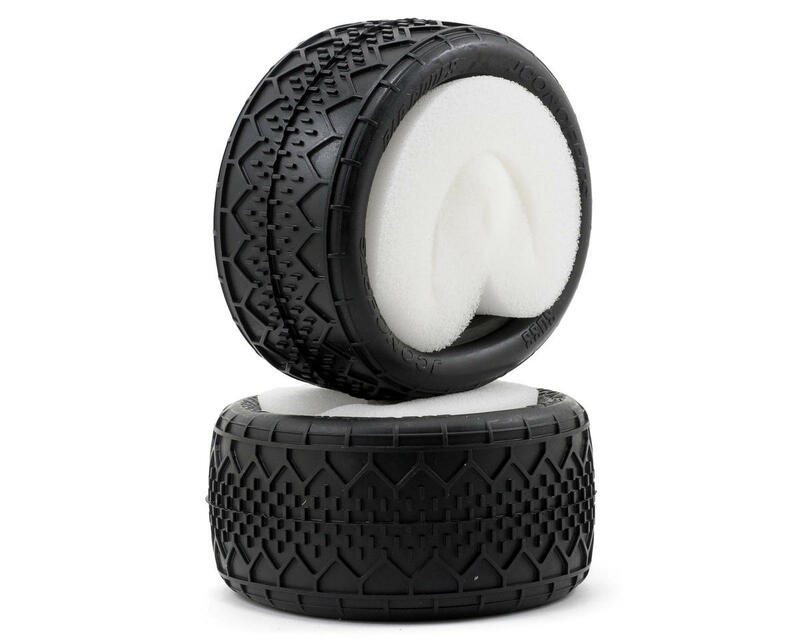 The Code of Silence has been broken at JConcepts, and the Bar Codes V2 tires are out. The Bar Code design is the freshest new tire design from JConcepts racing development and regardless of class and scale the Bar Codes = top notch performance. Like the name suggests the alternating bar design combined with the addition of the Y side bars provide uncompromised support for blue and black groove conditions as well as wet track indoor conditions. Bar Codes are a specialty tire that when matched to the appropriate track can provide amazing results. The Bar Codes are a part of the JConcepts special breed of tire, designed for maximum performance when new or used as the design allows even wear all the way down to the tire body. Bar Codes in new condition excel on hard surfaces that have taken rubber with either dry or wet grooved conditions. Worn Bar Codes excel on indoor or outdoor clay tracks where a minimal dust groove has formed. 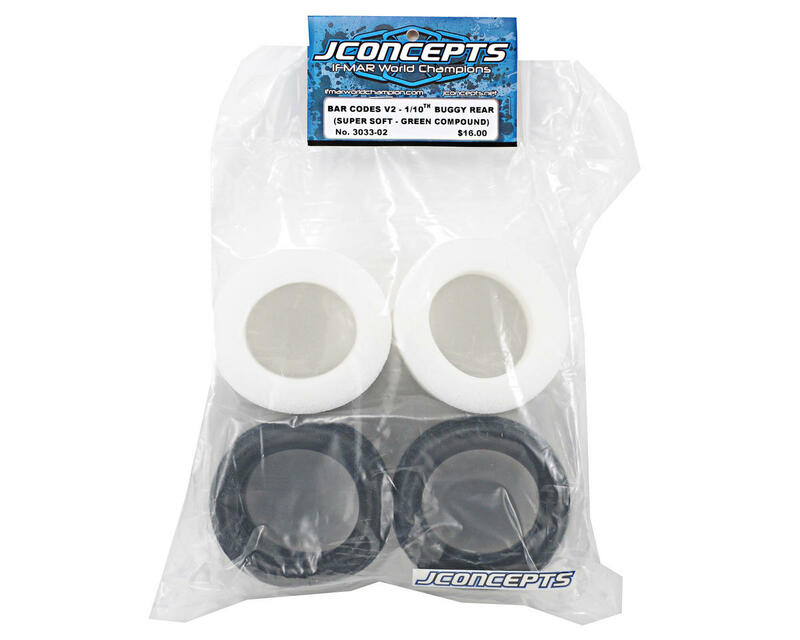 JConcepts now has the ultimate 1-2 punch by offering the V1 and V2 Bar Codes in a variety of compounds for tuning precision. i bought these tires and glued them up friday night and raced them saturday. after a quick break in run in the parking lot these tires were awesome. they hooked up right away and i know they'll just get better as they wear in more.